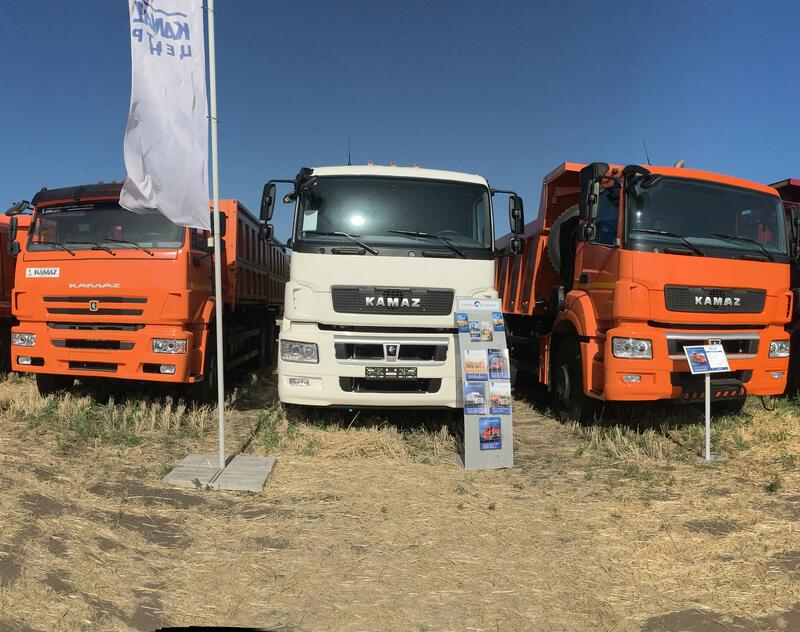 KAMAZ vehicles were presented at the exhibition within the framework of the IX agricultural forum with the participation of international companies “Saratov-Agro. Field Day». The event featured agricultural machinery, technologies for mill and elevator complexes, construction of agricultural facilities, as well as innovations in navigation systems, seeds, fertilizers. The KAMAZ trade and finance company together with the Saratov Automobile Center KAMAZ demonstrated to the visitors seven vehicles. These are specialized motor vehicles for the transport of agricultural goods – KAMAZ-45143 with a trailer 8560, KAMAZ-68901E with a trailer 8531, KAMAZ-68905 and KAMAZ-552921, construction dump trucks KAMAZ-6580 and KAMAZ-65801, and also a tractor KAMAZ-65806.